HTC Beat to be HTC's first Personal Music Player? Once again our little editorial piece on the Beats acquisition by HTC has got it right on yet another front. If you remember, the editorial mentions how there is was a possibility that HTC could try to get into the PMP (Personal Music Player) game and try to make their on PMP packaged with Beats headphones. Well it looks like we are getting the first evidence of that rumor becoming reality. 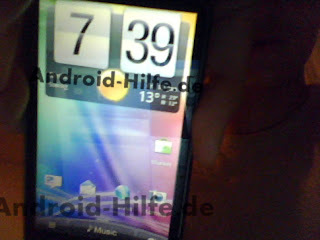 HTC Inside has leaked a picture of an HTC device that curiously sports a "Music" button instead of a "Phone" button. This could very well be the first evidence of an HTC made Personal Music Player.